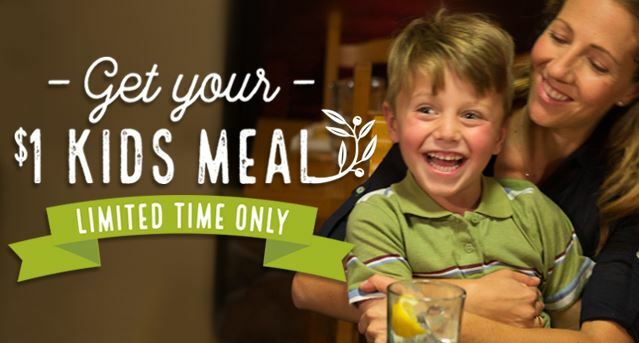 Home > Dining Coupons > $1 Olive Garden Kids Meal – Last Day! Need a lunch or dinner idea? Today is the last day you can get a coupon for a $1 Olive Garden Kids Meal (reg. $5.49) with the purchase of an adult entree! To get your coupon, enter your mobile phone number and be on the lookout for a text message with your coupon. This offer is valid for dine-in only and there is a limit of two kids meals with two adult entrees per coupon.